Thorough implementation of Acer’s Environmental, Health and Safety Management System keeps the corporation in line with our EHS policy by reducing the impact our products and operations have on the environment. It also helps us save energy and ensure appropriate treatment of waste, as well as raising the environmental awareness of employees. By realizing above objectives, we provide safe products and services and ensure our employees are healthy and safe in the workplace. Acer endeavors to achieve balanced development in economy, environment and society. 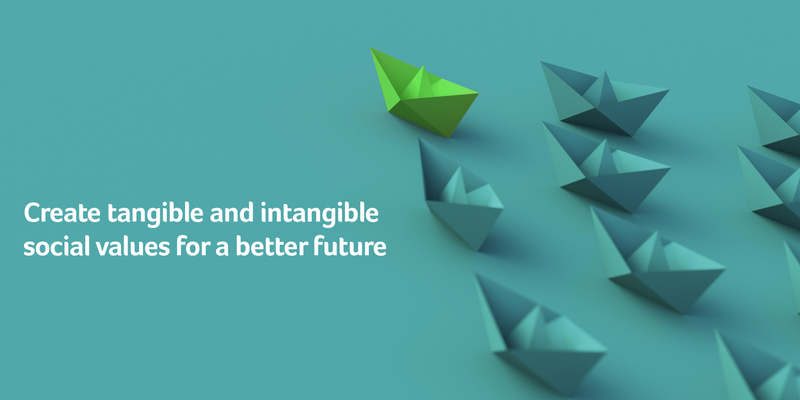 We understand that all our products, services and activities have potential impact to the environment and community where we conduct business, so we are devoted to environmental protection. We are also dedicated to providing a safe and healthy workplace for employees believing that occupational health and safety is the foundation of sound and responsible business operations. We ensure all employees understand their roles and responsibilities and require our suppliers, service providers, contractors, outsourcing partners, logistics companies, mergers and acquisitions and value chain partners to abide by Acer's environmental, safety and health policy through life cycle management to jointly achieve our commitments to the environment and our health and safety performance. When we respond to market demands and choose to further develop the organization through business expansion, we will conduct due diligence assessments on companies prior to mergers and acquisitions. Meet or exceed all applicable legal requirements, industry standards and voluntary agreements to which Acer subscribes. Improve resource productivity by promoting pollution prevention, energy efficiency and waste reduction. Carefully select raw materials and suppliers to provide safe and low environmental impact products. Strive to create a safe and healthful workplace and to prevent occupational injury and illnesses. Continuously improve EHS performance based on audit and communications. We implement stringent management of environment, health and safety (EHS), setting targets and action plans each year to continually improve EHS performance. We also strive to reduce the impact of business operations on the environment and community. Acer is a brand that operates under a global model, with our headquarters located in Xizhi. Acer's other Taiwanese branches, service centers, and distribution centers are all also normal office or industrial buildings. We comprehensively follow the Acer EHS Policies, implementing thorough EHS management systems to achieve our goals and commitments in this regard. These include regular monitoring of adherence to and applicability of Acer standards to manage potential risks to people and the environment and the environmental impact of our products. A range of measures have been put in place to help ensure staff have a comfortable working environment that values health and safety. 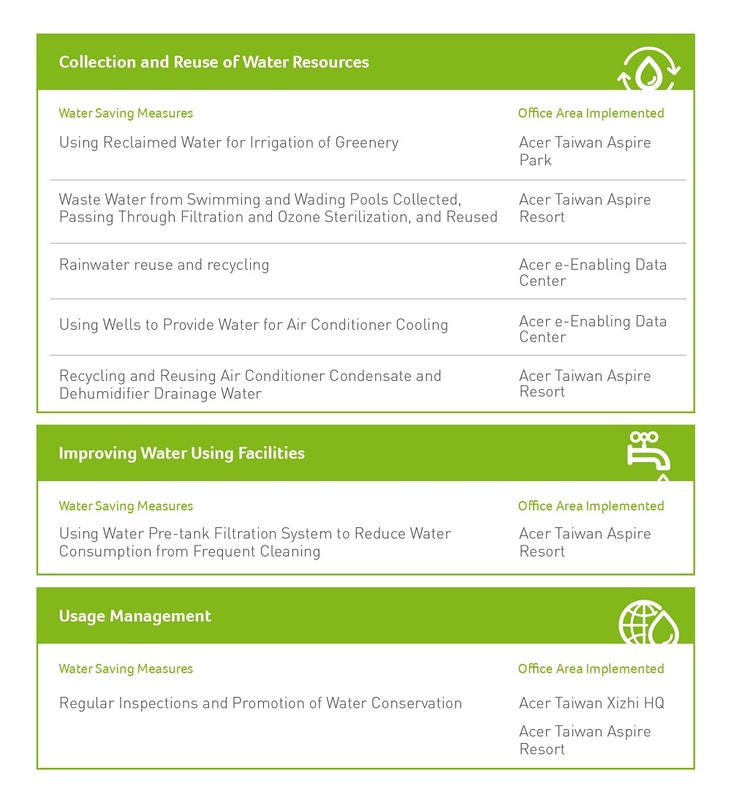 In October 2017, Acer’s business units in Taiwan (excluding Nanpiao, Kaohsiung) took the lead in introducing ISO 14001:2015 New Environmental Management Systems. Other operating subsidiaries, such as in China, are in the process of planning ISO 14001:2015 system implementation. In order to comply with the Acer Group’s global strategy, preparations for the integration of the company’s environmental and safety and health management systems with those of acquired companies are underway. The Group also plans to replace the existing OHSAS 18001 occupational health and safety management system with ISO 45001 within three years. Acer ensures EHS policies are put into practice according to ISO standards by regularly conducting internal and external audits. With the objective of prevention through inspection, defects found by auditors are documented for correction, ensuring that the inspection system serves as a reference for continual improvement. Reducing carbon emissions by 56.05% in comparison with base year of 2009. Expanding use of green electricity to 50%. The main source of energy consumption for Acer is electricity use in offices. To address this, we are actively pursuing the three main goals laid out below, as well as undertaking relevant planning and evaluation. In 2017, Acer built a solar power plant with a total of four ground and rooftop arrays in the Aspire Park, generating about 3.52 million kWh of electricity each year. In addition, Acer e-Enabling Data Center conducted a review of UPS equipment usage requirements and re-adjusted shutdown settings, saving approximately 1.752 million kWh per year. To protect and live with the environment, we continue to explore a variety of energy saving opportunities. Given the fact that the primary source of electricity consumption in our offices is air conditioning and lighting, in 2017 we changed out air conditioning equipment in three office areas, including Da’an, and high-consumption lighting in four office areas including our Xizhi headquarters. In addition, our office areas continue to make use of monitoring systems to adjust the hours air conditioners are active, adjust the temperature of water emitted by air conditioner chiller on a seasonal basis, and use lighting systems that automatically shut off during lunch breaks and after hours to control energy consumption. 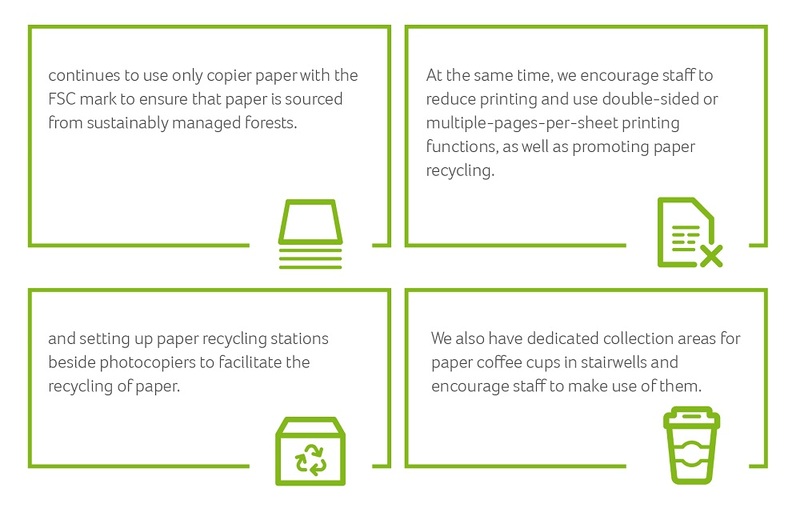 With no manufacturing facilities, the primary source of waste products for Acer is daily office operations. We continue to strengthen our waste product management, collecting statistics on garbage production, recycling, and waste IT equipment at our office locations around the world to stay on top of any changes and investigate potential improvement measures. In order to reduce trash levels, Acer Taiwan does not provide personal trash bins and works to promote the sorting of trash. During lunch breaks, trash bags for each category of trash, including food, are set up in stairwells, while on each floor and in staff rooms recycling bins are also available. Compared with 2016, we were able to reduce total trash by some 2,802 Kilograms. In compliance with our corporate environmental policy, we are committed to adherence to waste product management legislation, industrial guidelines, and our own commitments. For example, Acer Taiwan’s garbage is handled in line with the building management committee’s guidelines or handed over directly to local cleaning teams; recyclables are sorted and turned over to recycling plants or local recycling transport; and waste IT products are regularly turned over once each year to qualified, contracted processing facilities. Although the mold workshop located in the Xizhi office area produces a small amount of CNC waste and waste oil each year, in order to best protect the environment, we insist on signing treatment contracts with qualified processors to collect and quantify said waste and then perform clean-ups. In order to reduce the impact of our staff’s travel on the environment, we encourage them to carpool to and from work, prioritize public transportation, and teleconference rather than travel for off-site or overseas business.